The extreme attempts to politicize the weekend shootings in Arizona were dismaying and wrong-headed, but not without parallel. Efforts to link the attack on Democratic Congresswoman Gabrielle Giffords to overheated political rhetoric and, more explicitly, to Republican Sarah Palin and the conservative Tea Party movement were evocative of a campaign more than a century ago to blame the assassination of President William McKinley on the yellow press of William Randolph Hearst. 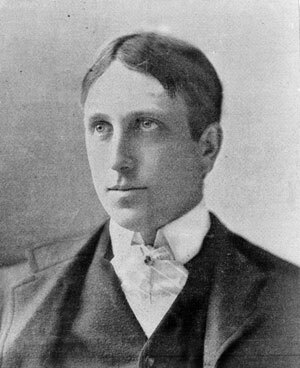 McKinley was fatally shot in September 1901 by an anarchist named Leon Czolgosz, who, according to Hearst’s finest biographer, was unable to read English. Even so, Hearst’s foes–notably, the New York Sun–sought to tie the assassination to ill-advised comments about McKinley that had appeared in Hearst’s newspapers months earlier. One especially ill-considered comment helped fuel the allegations: That was a quatrain written by columnist Ambrose Bierce 20 months before McKinley was shot on September 6, 1901, while greeting well-wishers in Buffalo. Can not be found in all the West. The Sun led the assault on Hearst and his flagship newspaper, the New York Journal. 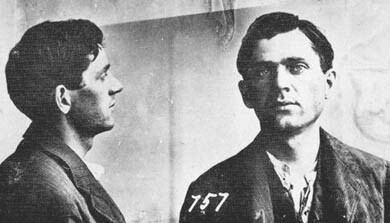 It was of course absurd to claim that Czolgosz’s mind had been poisoned by the contents of the Hearst press. Few other New York City newspapers were inclined to pick up the cudgel, even though not many admired Hearst’s activist-oriented journalism. And as media scholar Brian Thornton noted in a fine journal article in 2000, “most of the attack against Hearst” in the aftermath of the McKinley shooting was sustained by letters to the editor of the Sun, not by the newspaper’s editorials. The Sun, it should be noted, had long campaigned against Hearst, having urged in early 1897 a readership boycott of the yellow press, an effort that drew attention but ultimately collapsed. In response, Hearst renamed the Journal the Journal and American, to assert the newspaper’s patriotism. Eventually, he dropped the “Journal” from the nameplate altogether. Hearst could take a measure of comfort in the insightful and level-headed commentary of journals such as The Bookman, which dismissed the criticism as preposterous. “Indeed, the most severe attacks on President McKinley’s policy were not attacks for which the so-called ‘yellow journals’ were responsible, but they were attacks uttered by such sincere and high-minded men as Senator [George] Hoar and ex-Secretary [Carl] Schurz–both of them Republicans–and by newspapers of great ability, such as the Evening Post” of New York. There are in The Bookman commentary echoes of well-reasoned and insightful commentary written in the aftermath of the rampage in Arizona that left six people (a federal judge among them) dead and Giffords clinging to life. Notably, media critic Jack Shafer pointed out in a column posted yesterday at slate.com that only “the tiniest handful of people—most of whom are already behind bars, in psychiatric institutions, or on psycho-meds—can be driven to kill by political whispers or shouts. And to seize on political shootings to score political points is as appalling as it is unworthy. Hearst ‘pushed us into war’? How’d he do that?